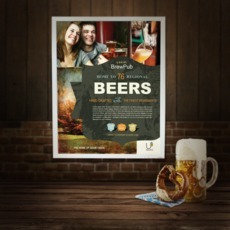 Make a positive impact with UPrinting’s glossy poster printing service. We offer glossy and semi-gloss papers depending on your needs. These prints are perfect for indoor and outdoor establishments such as spa parlors, beauty salons and boutiques. The right paper option for your large format posters will depend on the lighting of your target location. The less reflective semi-gloss is perfect for places with intense lighting. It keeps the images and text readable. This paper type is also best used for business presentations since reflective glare from your prints will be much less of a problem. Glossy paper is better in areas with soft lighting or for photos where image accuracy is more important. This gives your images better contrast and makes for vibrant colors. 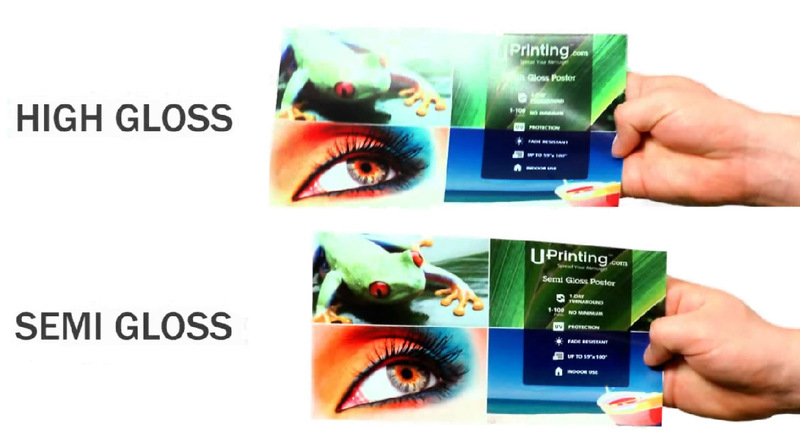 With UPrinting, you can have your prints in 3 business days or less. Choose from standards or custom sizes available. If you have questions about poster paper and printing, call us at 1-888-888-4211 or launch our live chat.